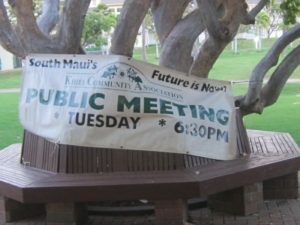 The Kihei Community Association meeting opened on Tuesday, January 15th at 6:30 pm, at St. Theresa’s Church Hall. 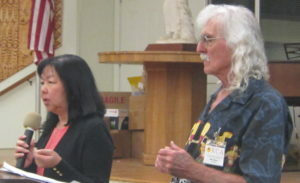 Mike Moran began the meeting with an acknowledgment of the elected four officers of the new 2019 board of directors, re-elected officers President Mike Moran, Vice President Rob Weltman, Secretary Patricia Stillwell, and first-time Treasurer Jim Sheppard. 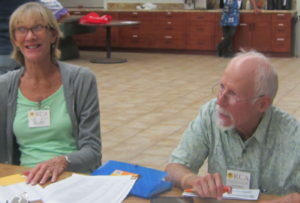 There was an extension of thanks to all the volunteers who help continue the work of the Association, including a special nod to Rob Weltman and new PR committee member Dez Austin, both of whom are on the public relations committee. 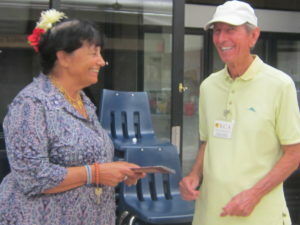 Mike Moran recounted the origin of the Kihei Community Association which was possibly founded in the 1940s, established officers in the 1950s and finally incorporated as a non-profit in 1960. 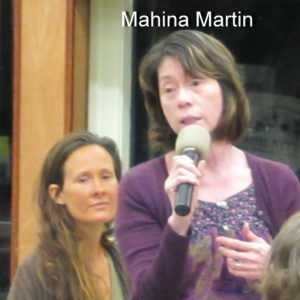 Special guest Dr. Marsha Green was invited to speak to those attending on the issue of the Navy’s proposal to commence military exercises in environmentally sensitive areas around Hawaii, including Maalaea Bay. 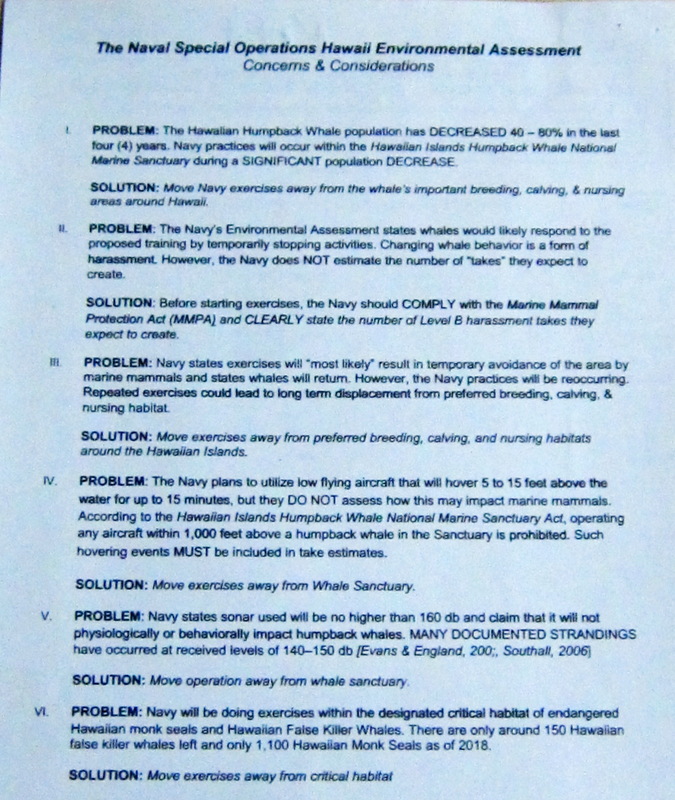 Her stance was that the Navy’s proposal should be rejected based on the grounds that it violated already established federal law that protect the humpback whale habitat and a marine animal sanctuary which includes large areas around the Hawaiian archipelago. The shutdown of the federal government has limited communication on the progress of this proposal. 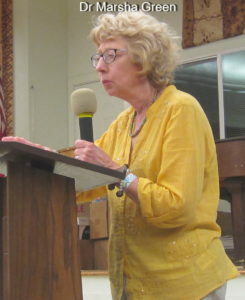 Dr. Green encouraged her audience to seek out ways to communicate that a need to extend the discussion about the proposal was absolutely necessary. 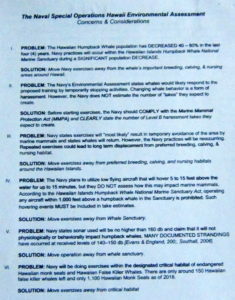 She ultimately rejected all of the reasons provided by the Navy for the military exercises and provided evidence for her position. Her research can be seen here. 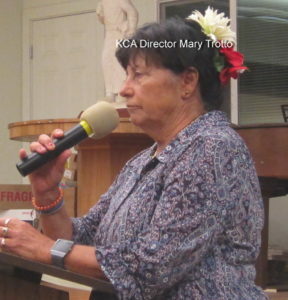 Mary Trotto of Hale Kau Kau spoke on the efforts of the organization to continue to provide food for those in need. 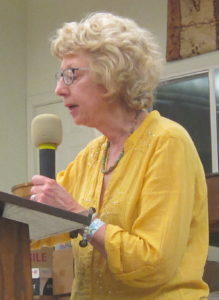 She remarked that the amount of food service to homebound residents of South Maui has doubled over the last year. 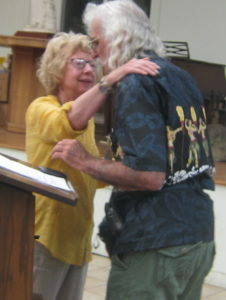 She reminded those present of the 2oth annual fundraiser for Hale Kau Kau, “Sharing the Love”, and hoped all would find the time to attend on February 9th, at the Marriott Wailea, Maui. 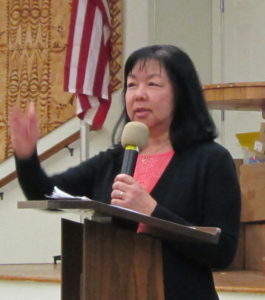 If attendance was not possible, she encouraged support of Hale Kau Kau through donations. The KCA gratefully receives food donations at each of its meetings from its members and the community as an “entrance fee”. 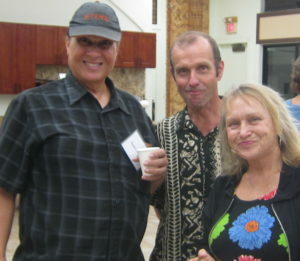 The KCA then delivers those donations to the Maui Food Bank. 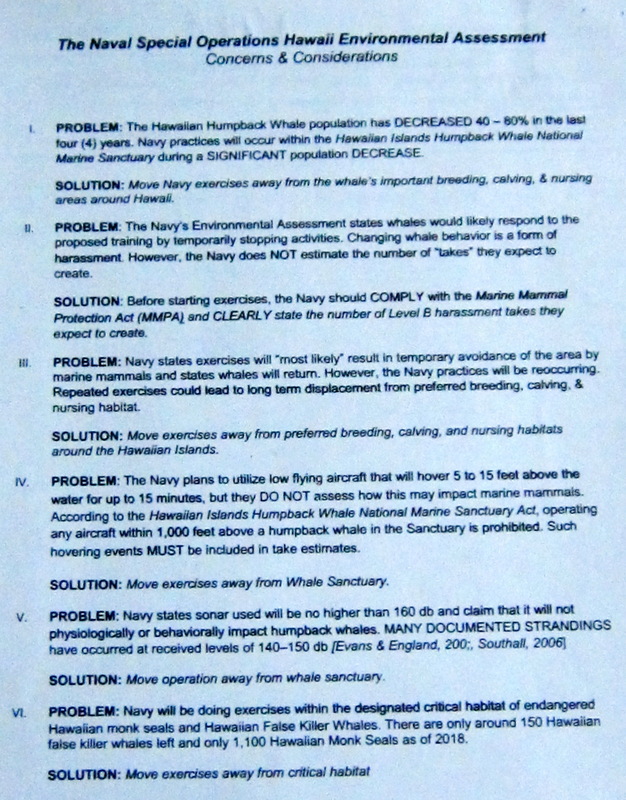 The following items were the community concerns listed by the KCA, represented by Mike Moran. 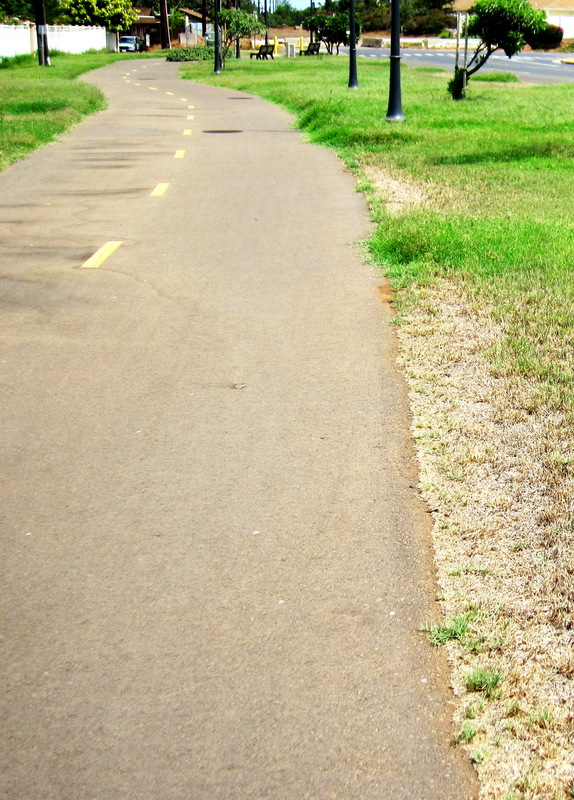 Infrastructure concerns which include multi-modal transportation, the underpass for the upcoming Kihei High School, progressive signal lights, roundabouts, county sewer system expansion, cesspools which were built for Maui Meadows many years ago, the use of recycled wastewater (R-1 water), stormwater controls, etc. Representative Kelly King was present to receive these concerns and answered some questions from the audience about these issues as well as other concerns. 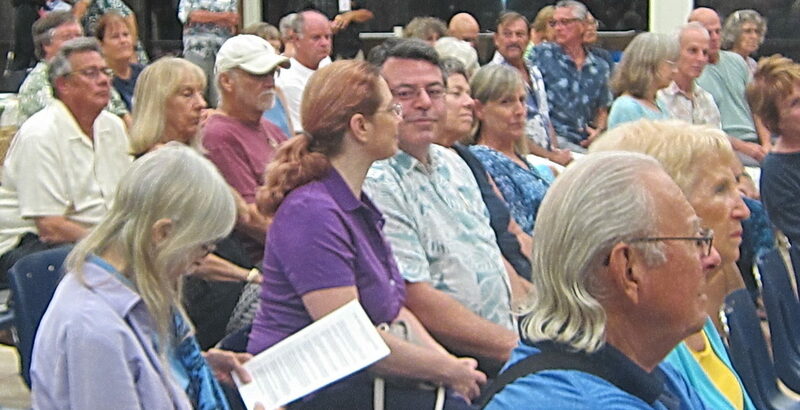 An audience member questioned the enforcement of the attendance of council meetings by council members, where absenteeism was noted as particularly high in the foregoing year, as noted by the Kihei Community Association in several past posts. King’s response was that she has established a consequence of being removed from a committee if there are unexcused absences which number five and over. 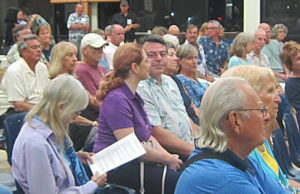 Another concern brought to the floor by a person in attendance was the control, or lack thereof, of rampant firework usage in Maui County. 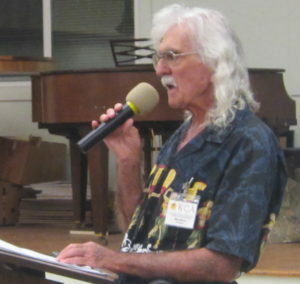 He cited animal stress and dangers to home and community, referencing a house fire which destroyed Kihei families’ homes last year. 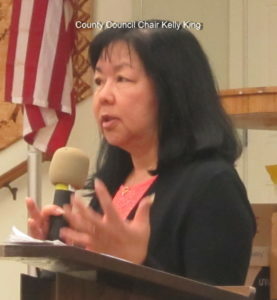 King responded that while she is in agreement with his concerns, the matter of enforcement of existing county laws against large-scale fireworks is a matter to reserved to the Maui Police Department, which, in turn, responds to leadership by the volunteer police commission appointed by the mayor. 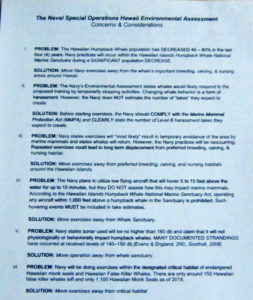 Sandy Baz, appointed county manager, also offered his support for this issue and remarked that enforcement is an ongoing concern. 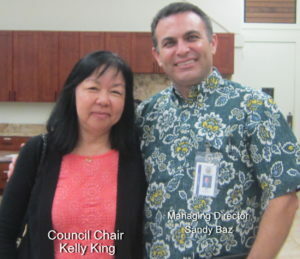 PreviousUPDATE 1-16-19** Kaiwahine Village 100% Truly Affordable Rental Project – THIRD TIME WAS THE CHARM! NextUPDATE Completely Revised County Council Committee Structure Approved for 2019.